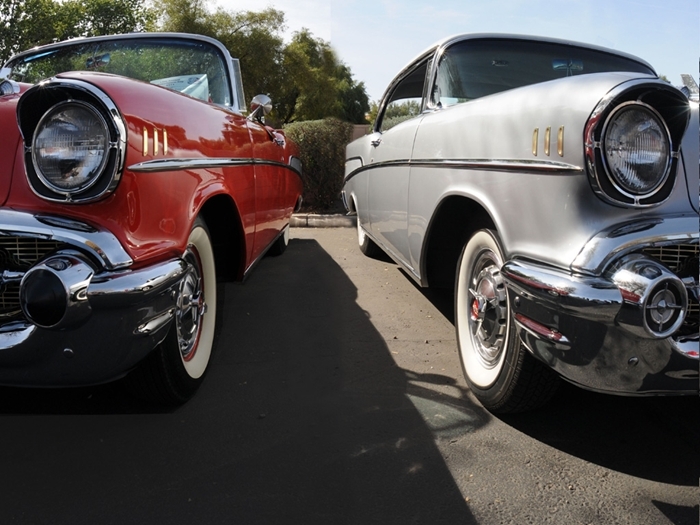 The pair of 1957 Chevrolets sit side-by-side in an Arizona church parking lot. Their massive chrome grilles with distinctive gold trim announce them as cars from an era we are not likely to ever see again. They are wide and long and the interiors are the size of a small apartment. They speak of a time when longer-lower-wider was the mantra of the stylist’s studio. All around them are cars with flames and stripes, transplanted engines, lowered suspensions and bordello interiors. In contrast, the red convertible and silver coupe are automotive time capsules. “We wanted to keep them just the way they came from the factory,” says Ron West, who owns the cars with his wife, Virginia. For Ron, the drop-top is a trip back to his youth. He owned one while he was still in college, but sold it to finish paying for his education. But he discovered that, by the time he figured he could afford to buy one, he couldn’t. The prices -on a car that barely his $2,500 when new -- had skyrocketed. It took him years to find something that he could afford that also was worth the effort to tackle. “I looked at a lot of $5,000 Bel Airs and a bunch of Chevys in cardboard boxes,” he says. Ron finally found what he was looking for during a business trip to Denver. He was searching the classifieds when he spotted one available in the mile-high city. “I took one look at it and made the guy an offer,” he says. But the seller rejected the proposal, telling West he was certain he could get his price. “At that point I gave it a bit of thought, realized he was probably right, and wrote him a check as a deposit,” he says. 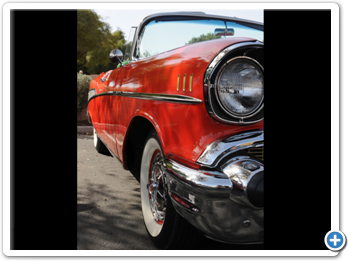 Once the car arrived in Arizona, Ron began the long process of taking it apart for restoration. That’s pretty good for a car that was delivered to Arizona wearing studded snow tires. Still, the project was a ground-up job. All the sheet metal and doors came off, the engine and transmission came out and everything was rebuilt. “We didn’t do a frame-off, because it didn’t need it,” he says. 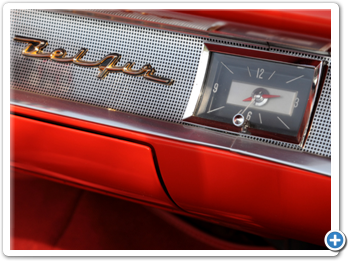 Ron had the original 283 V-8 freshened, and took the opportunity to clean and repaint the firewall and inside fenderwells. The interior was redone, using similar fabric and the exact same patters as was used in 1957. He shows off the hinged piece of chrome along the driver side rear wing. It opens to give access to the fuel filler cap. It has been 18 years since Ron restored the convertible. It shows just enough patina to prove it hasn’t spent all its time in a garage or on a trailer. “We don’t put but about 1000 miles a year on it,” he says. “I think the longest trip has been about 50 miles. I still take it out every few weeks, even if it is to just drive it around the block, just to keep everything lubricated. In contrast to the convertible, his wife’s coupe needed next to no work. 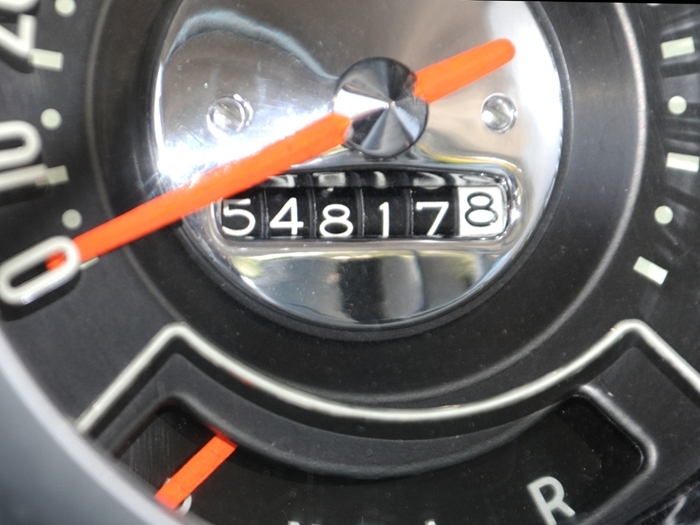 It has less than 55,000 original miles. “It also came from Colorado,” he says. “It was owned by a successful potato farmer who had a collection of cars he kept stored in a climate-controlled potato shed. Ron was interested in the coupe, and asked a friend who lived not far from the car to take a look and give him his assessment of it condition. “He called me back and said if I didn’t but it, he would,” he says with a grin. Other than riding on radial-ply tires, the car is exactly is it was when it left the assembly line. “It needed nothing,” Ron says. He lifts the hood to reveal the engine. 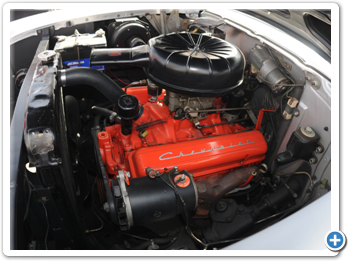 It is rare to see a Chevrolet V-8 that isn’t topped with a toilet-bowl carburetor, tuned intake manifold and polished valve covers. This one still has the factory four-barrel carb and an air cleaner that looks like an upside down bed pan. Even the valve covers retain the special orange paint used in the Chevrolet engine plants. The pair draws enthusiasts who admire the cars for both their stunning looks and their originality. It would have been faster -and at times cheaper -to modernize the cars with off-the shelf improvements, but Ron recognizes that once you start down that road, it’s is difficult to stop. And suddenly you end up with a car that doesn’t have a history. 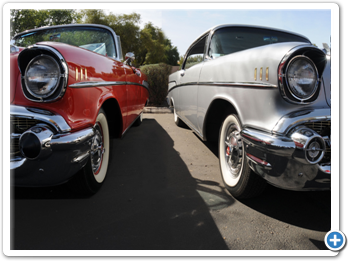 The hottest Bel Air sedans, convertibles, Nomad station wagons, 150s, and 210s from around the country are featured in big color profiles with historical text and captions that tell the story of America’s classic tri-Chevys. 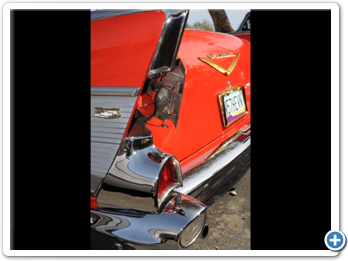 This book covers 1955, 1956, and 1957 Chevrolets-Tri-Chevys-some of the most popular American cars of all time.Beautifully illustrated with 250 color photographs, this book focuses on all the details restorers and enthusiasts want to know. 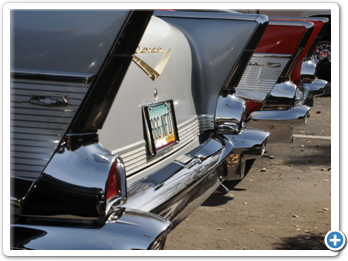 An entire chapter is devoted to the elegant ‘55, ‘56, and ‘57 Nomads and the unique components used on these stylish station wagons. 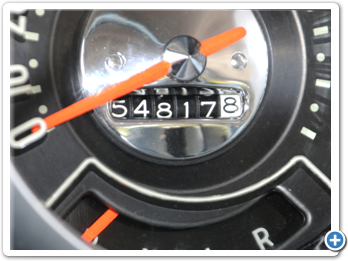 A large appendix includes production numbers, component identification codes, and interior trim charts. 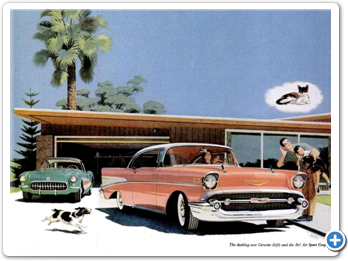 Everything pertaining to Chevrolet’s passenger car models from 1955-1957 is highlighted. 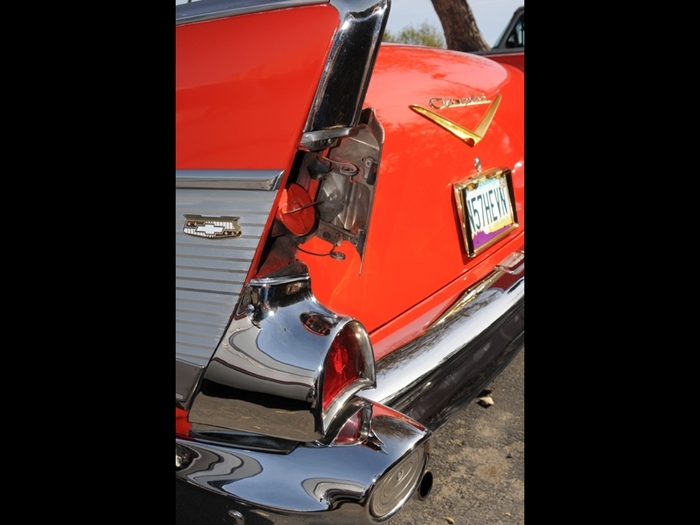 “Chevrolet by the Numbers” is the only authoritative reference for identifying and verifying the correct Chevrolet parts, by casting number, for your exact model. Other books rely on secondhand information or out-of-date part numbers. Author Alan Colvin documented every casting number for every Chevrolet V-8 engine and drivetrain part from 1955 through 1975, using original source material in Chevrolet’s archives, including engineering blueprints, technical service bulletins, and build sheets. He interviewed the original manufacturers and engineers and brings you fascinating stories of parts development from behind the factory gates. Most of this information has never before been seen in public. 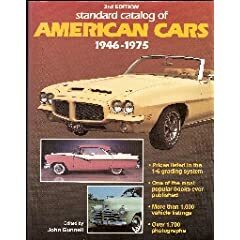 This book covers all 1955-1959 passenger cars, including: Series 150, Series 210, Bel Air, Impala, Corvette, and El Camino. Engines covered include the 265, 283, and 348. This book leads readers through one of the most innovative eras of automobile engineering. A perfect mating of technical and production details with rich nostalgia, this book helps Chevy enthusiasts determine their favourite models. Whether collector, car buff or restorer this book is a must-have, because it: offers a full price guide to ‘50s Chevy cars to aid readers in purchasing or selling; shows the beauty and top-quality craftmanship of Chevrolet in more than 300 exquisite colour photos; and explores performance capabilities in easy-to-understand reports. Introduced as a hardcover in Spring 1995, this softbound edition offers a lower-cost version of the colorful book that examines the legend behind the three most-beloved years in Chevrolet history. In one model year, Chevy wiped the slate clean and produced an automobile that managed to vanquish a staid and stodgy image. 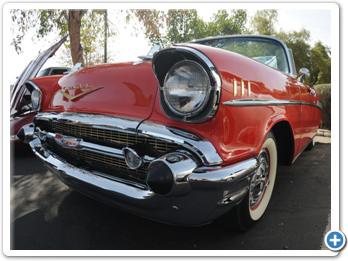 The 1955 model featured a new chassis powered by a brawny V8 and dressed out with a thoroughly modern body. America loved it. 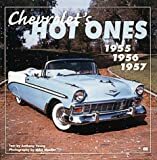 Author Anthony Young teams with photographer Mike Mueller to look back at the three-year span from 1955 through 1957, when Chevy twice refined an already popular automobile. Marvelous modern color and archival black-and-white photography accompanies a narrative text examining the Tri-Chevys in all their glory, including the engineering advances. 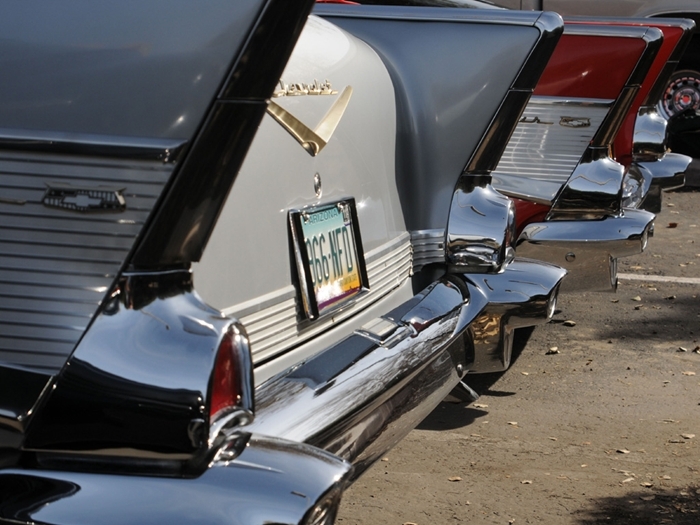 10 films discussing the development of the 1957 Chevrolet. 1. The Year Of Newness, 2. Long Low And Terrific. 3. Get ‘Em On The Go. 4. A Brand New Ride That Paves The Way 5. Color Is The Clincher: Covers exterior and interior color combinations 6. A Month Of Fun Days 7. Safety Built In 8. Jet Ace: Fuel Injection 9. Turboglide 10. TV Commercials. Video: B&W / Color; Time: 120 minutes; Format : DVD-R / DVD+R. Chevy puts the purr in performance! 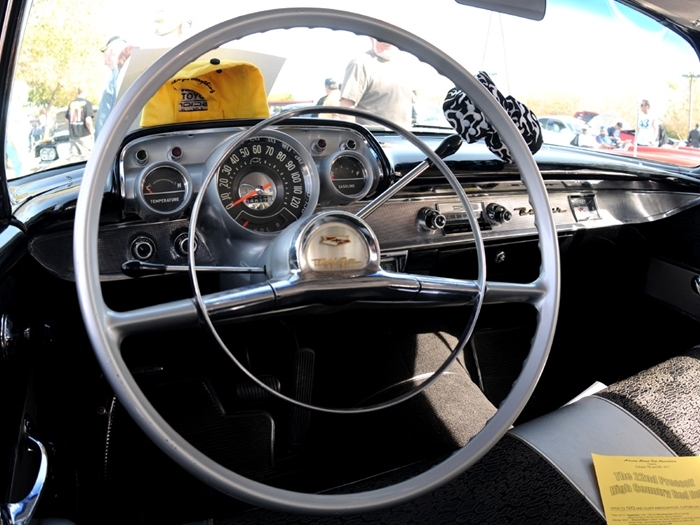 That new V8 in the ‘57 Chevrolet is as quiet as a contented cat and as smooth as cream. And it’s cat-quick in response when you ask for action! 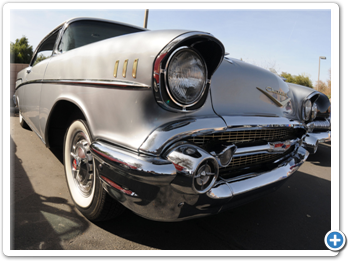 The ’57 is the last in the legendary “Tri-Five” series of Chevrolets that began with the ground-breaking 1955 model year. In a perfect world, the ’57 may have come out a year earlier, but both styling and engineering changes pushed it back. 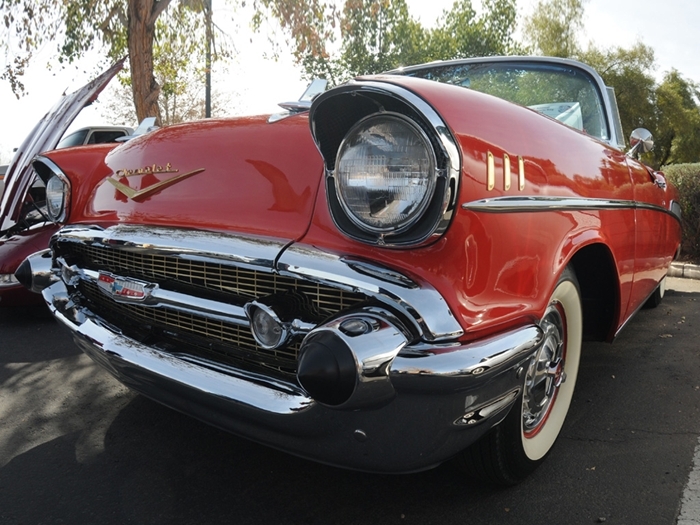 The result was that the 1956 Chevrolet was a slightly modified version of the previous year’s platform and chassis while the ’57 was just short of revolutionary. It was shorter than cars offered by competitors, but the styling made it appear longer than it really was. 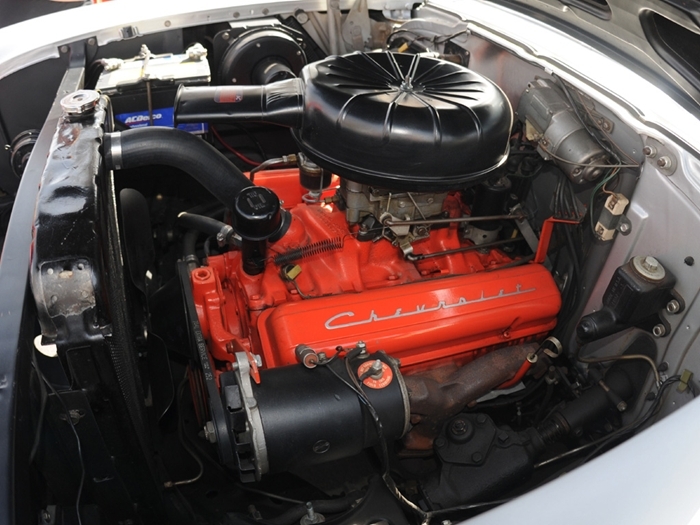 Under the hood, the 265 V-8 of prior years was pumped up to 283 cubic inches. Chevrolet claimed bragging rights to producing the first production based V-8 that pumped out one horsepower per cubic inch, using a special manifold and fuel injection. (The MoPar crowd has issue with that claim, citing the Chrysler 300-B with a 354 cubic inch “Hemi” V-8 rated at 355 HP). 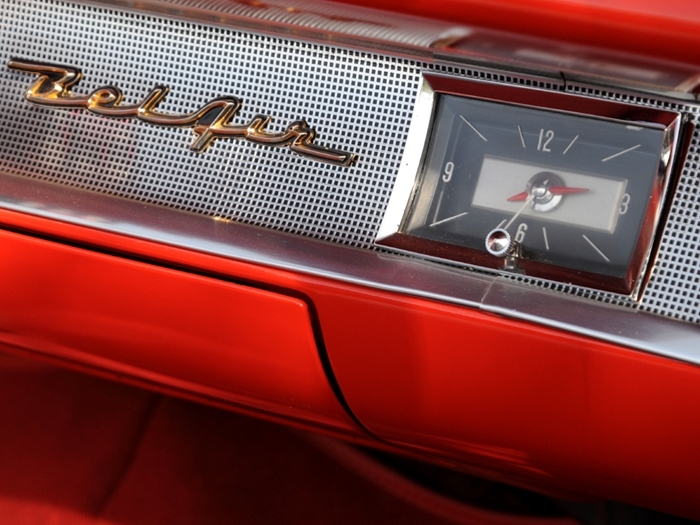 Based in the fuel-injection system used in the Corvette, Chevrolet offered a “fuelie” on all of its 1957 models, even on the cheaper One-Fifty models. But for most Chevy buyers, the F-I were too expensive, and thus they remain exceedingly rare. 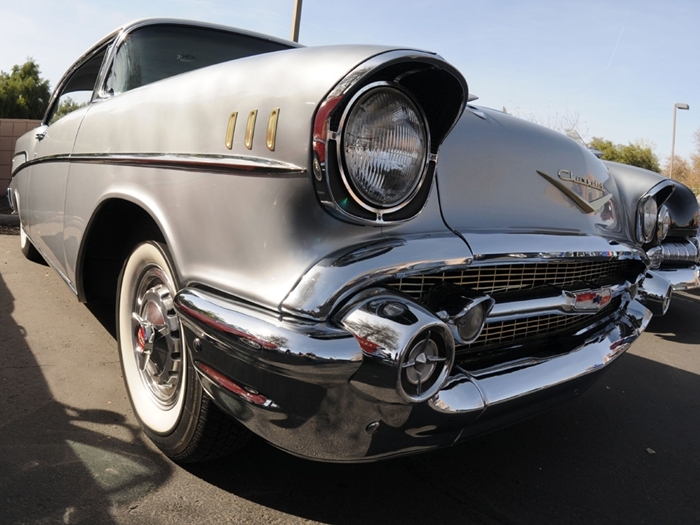 Chassis changes were an extension of the development that began with the 1955 model year. 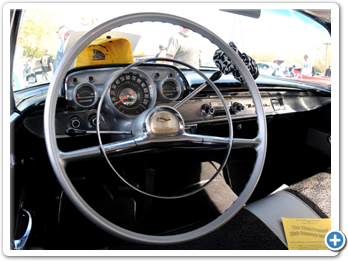 For 1957 the engineers switched from 15 to 14 inch wheels, which slightly reduced the height. While the width and wheelbase remained unchanged, the overall length was now 200 inches. The frame was strengthened and new front braces, shocks, control arms and ball joints were matched the heavier bodies. Rear springs, moved outboard for the ‘55s, were again moved a bit further to improve handling and stability. 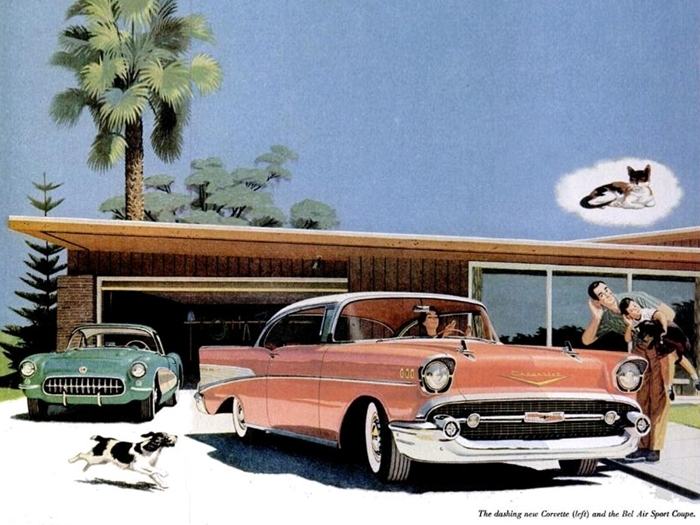 Chevy advertised the car’s handling prowess, with a commercial showing a ’57 snaking its way through an elaborate handling course, and declaring it the national champion. In spite of the trumped-up handling title, the car was a winner in the eyes of the marketplace, and was an instant classic as soon as the first ones rolled out of the assembly plant. They only became even more valuable as time went on. A true original convertible will fetch in the $100,000 range at auction; a coupe will go for about half that. 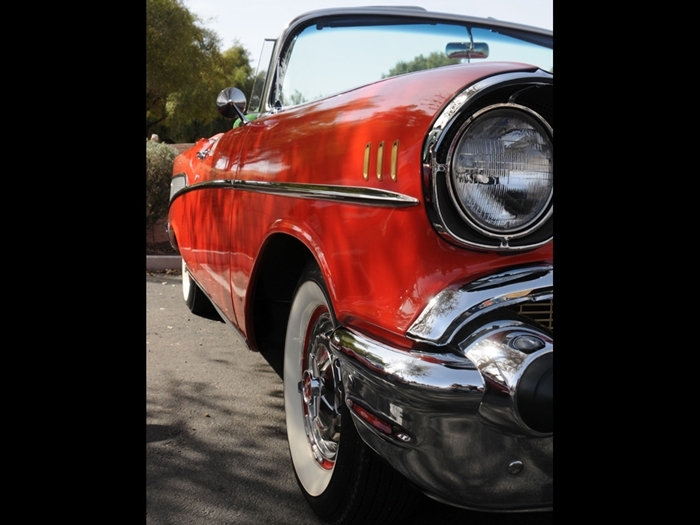 According to the Standard Catalog of American Cars 1946-1975, Chevrolet produced 47,562 1957 Bel Air Convertibles and 166,426 1957 Bel Air two-door hardtop sport coupes.